Summer has officially hit and it is H-O-T. I was wandering down the frozen food aisle (AKA the ice cream aisle because it's the best one) and I hear Declan ask for popsicles. Not gonna lie, I wanted them as much, if not more than him... and then I started investigating the ingredients and nutrition facts. I know, spoils allllll the fun, but what I read gave me a whole new perspective on those cold treats I thought were primarily just ice. (Un)shockingly, many of them had the first ingredient listed as SUGAR and absolutely no nutritional value. Yep. That is when this mama decides to DIY. So I did and it was mega easy and the boys LOVE them... I call that #winning. 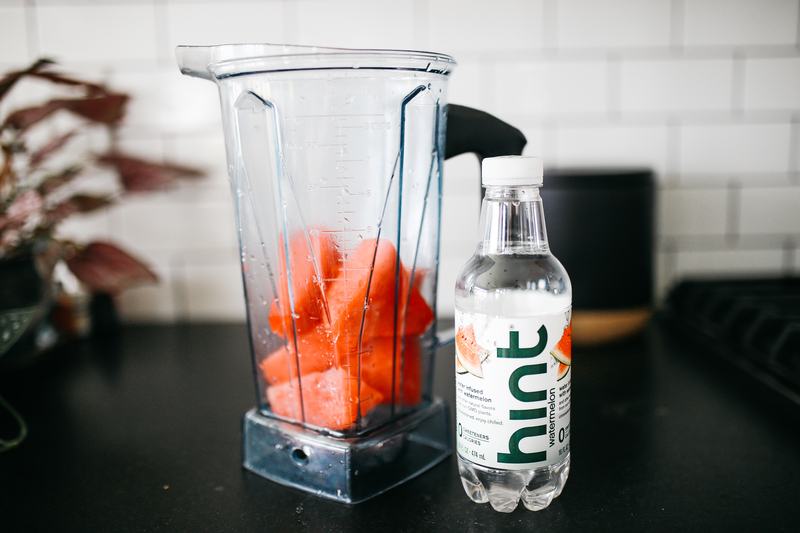 -Hint Infused Water Drinks (optional): I got mine at my local grocery store and they were on sale for $1 each. You could totally use purified water as well or juice, but I love that these are 0 calories and sugar free, but contain NO artificial junk... literally just infused fruit water. 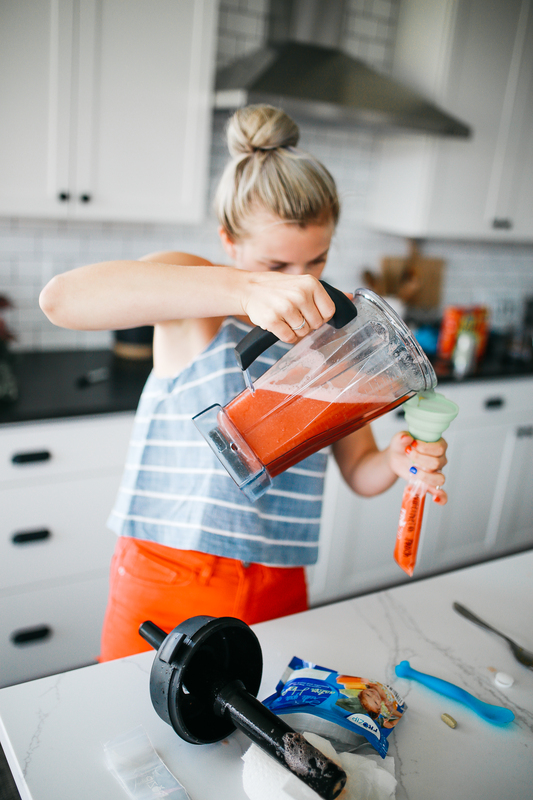 I started off by cutting the watermelon and peaches into chunks so they were easy to blend up. Honestly, I did not measure anything and that's the beauty of this! YOU customize your popsicles. I used about 2 medium slices of watermelon and 1 peach. 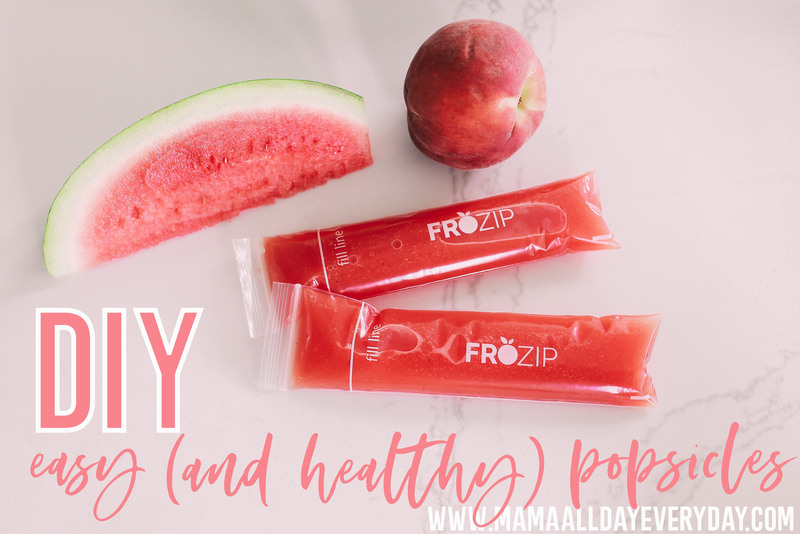 Before filling the little baggies, I labeled them with the contents of the popsicle, such as "Watermelon Peach" with a permanent marker. Kids won't eat their veggies? Umm, HELLO...throw some in there. Spinach is a great one to pop in there with some fruit and they will never know that "popsicle" is actually giving them a daily dose of greens. -Soda/Pop and Ice Cream (think Root Beer Float)...and yes, I said POP which is pure sugar, but it doesn't have to be. 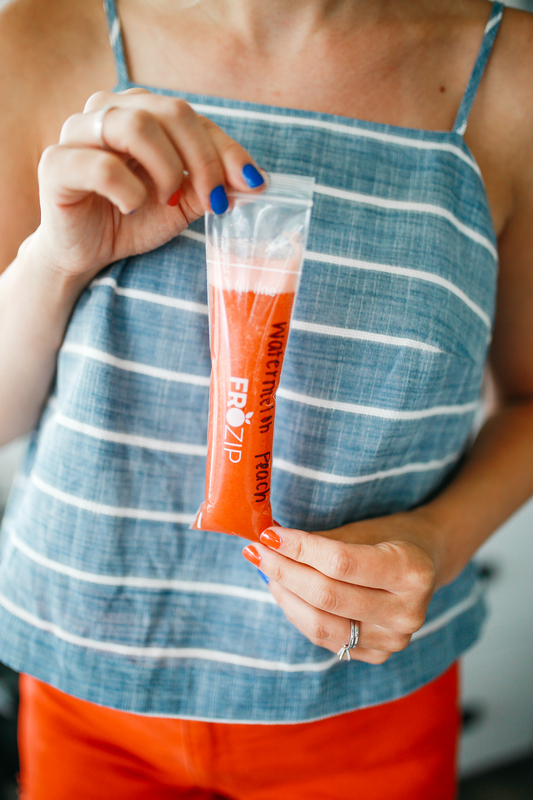 We LOVE Zevia's version of Root Beer, but WITHOUT all the sugar and naturally sweetened with Stevia. I'd LOVE to hear what recipes you guys come up with in the comments!